Every pregnancy is special, but some pregnancies require even more specialized care. Should your pregnancy require extra care, we have physicians who specialize in identifying and treating the complications of pregnancy. These Maternal-Fetal specialists, also called perinatologists, are OB-GYN physicians with specialized training in maternal fetal medicine and expertise in high-risk pregnancies. Should your pregnancy require extra care, our Methodist Perinatal Center is located on the campus of Methodist Women's Hospital in the adjoining medical office building. We offer a full-service consultation, testing and treatment center for high-risk pregnancies. Along with our perinatologists, our team includes registered nurses, genetic counselors, sonographers and other professionals with expertise in perinatology. Learn more about Methodist Women's Hospital Perinatal Center. We designed 6 suite-like rooms specifically for mothers with complex pregnancies who may require longer or more complicated care. These rooms are built with safety features for you and baby as well as for the comfort of you, your family and visitors. Read more about the special high-risk rooms at Methodist Women's Hospital. 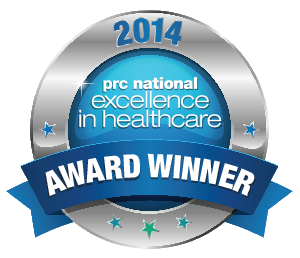 Methodist Perinatology received a 5-Star Award from Professional Research Consultants for excellent patient ratings of overall quality of care.